Teenage wasteland. You might think that is the title of the iconic song by The Who. The real name is “Baba O’Riley”. 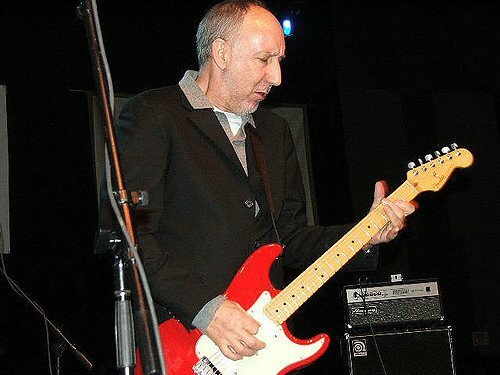 Pete Townshend combined two names of influential people he followed. The message of “teenage wasteland” possibly refers to the desolation of the teenagers at Woodstock (Wikipedia link). Music is art. I suppose that means the message does not have to be 100% clear or necessarily reflect the meaning of the song. In business, however, you need a clear message. If your customers aren’t sure what you sell or deliver, why should they buy from you? When the language of your message is flowery, superfluous, extremely vague (much like this sentence), then you are covering up something or don’t have confidence in the product you sell. When you deliver your message in short, crisp sentences, or even bullets, you are onto something. Think about the clarity of these bullets. Both are as direct as can be, short of listing the customers’ names. Spinning your message leads to distrust. Having spent over 25 years in corporate America, I (and most of my colleagues) laughed at the names of internal programs developed “as a response to the most recent employee survey”. “Stop Handling It Twice” (OK, I made up this one, but the acronym is funny). Wouldn’t it be clearer to call it the “We have too many people, we need to meet our quarterly targets, we’re starting layoffs in three months” program? Year after year, we’d see some version of this. To quote Pete Townshend again, “meet the new boss, same as the old boss”. Your employees can read between the lines, just as your customers can detect language that doesn’t say anything. Don’t cover up with a clever title that causes them to scratch their heads. If I’m asking “who are you”, the last thing you want to respond is “I can’t explain”. All references to “The Who” songs are the property of The Who. What is your favorite song by The Who? What is one challenge you have in delivering your message? Your opening was good! I was really wondering where you were going with it as it seemed confusing to me. And that was the message! I totally agree with your comments about business owners needing to be ‘real’ and also very clear in how they present themselves. What I do want to add is that their inability to do so is not necessarily because they are covering something up or don’t know their product. Some people just aren’t good unearthing what’s most unique or most important in what they say. They struggle. Also, it’s hard writing marketing copy that will attract and amplify so others want to take action. But, in the context of corporate offices, I do absolutely agree that there is still too much vague language or programming that is not straightforward in its intent. They often fail or achieve far less than expected, don’t they? Thanks for reading Tassey. Good points about the many reasons why a message might not be clear. If the goal is to be transparent and honest, I think they are on the right track.